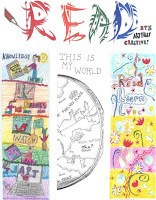 The winners of the 2010 Bookmark Design Contest have been announced! Stop by the library until April 23rd to see all the entries. And take home a winning bookmark! Bookmarks are available at the library information desks.